The rainforests in Costa Rica were like heaven to me, I spent as much time looking at plants as looking at birds. As we wandered down trails I was forever touching plants, feeling leaves, looking and learning. A few were familiar - understory palms that looked very like some of the Chamaedorea that I grow at home. 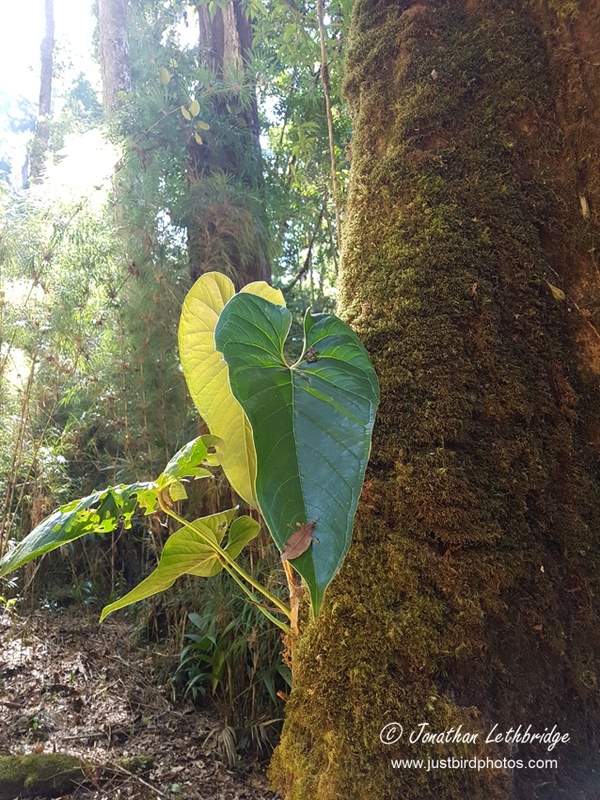 I also came across a seedling of Zamia neurophyliddia and was then shown an adult by the forest owner. Everywhere you looked there was something of interest, to me at least. Perhaps most interesting of all was the incredible profusion of epiphytic plants - mosses, orchids, vines and ferns. 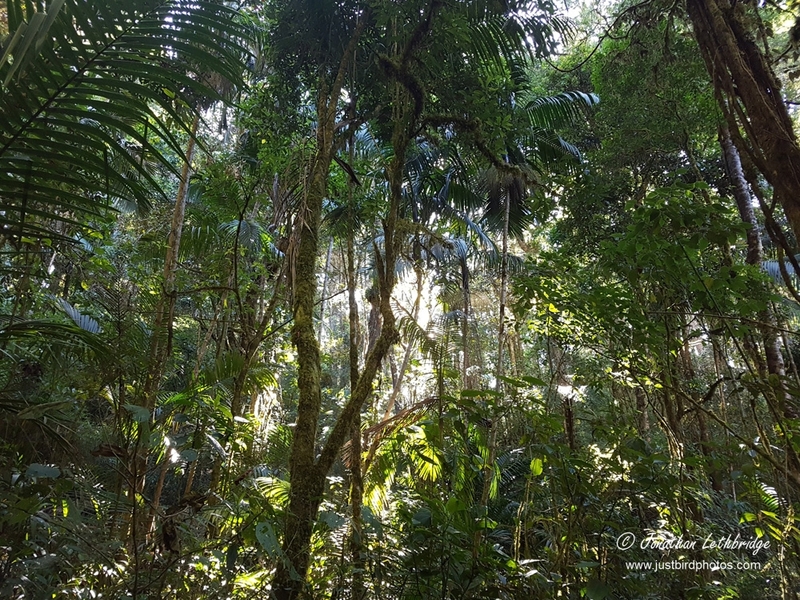 Huge columns of what looked like Monstera (Swiss Cheese Plants) grew vertically up huge trunks, Philodendrons dangled down, mosses and air plants grew luxuriantly at all levels of the forest. Whilst I couldn't identify most of them, I did recognise the Staghorn ferns that were of epic proportions high up in the forks. I have one at home, given to me by my friend Howard. He rescued it from somewhere and it has been living in the new bathroom in Chateau L, enjoying the extra humidity from the shower. 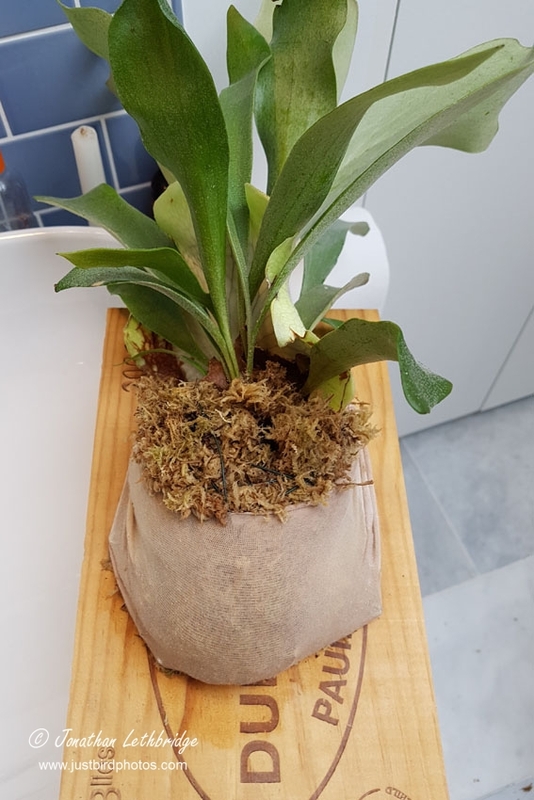 It was in a small pot and had gradually been growing new shields - these plants have two sorts of leaves, the pronged leaves that you would say are the actual leaves, but then also basal leaves that gradually attain a round smooth form and hold the roots against the trunk. 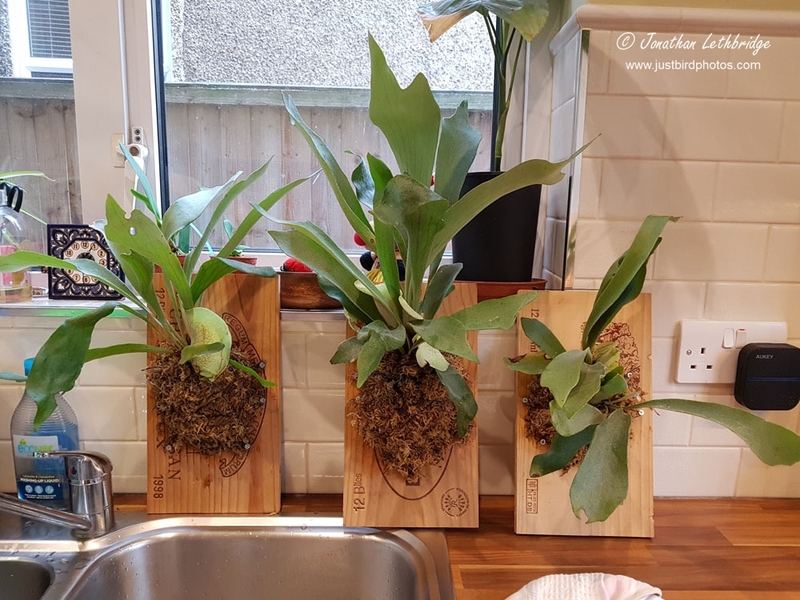 I say was in a small pot, because whilst they can be grown in pots, they can also - and indeed prefer - to be grown as nature intended, without soil and hanging vertically. So inside my warm house and with snow falling outside, I spent a portion of this afternoon pretending I was back in the glorious rainforests and preparing a new growing environment for my fern. 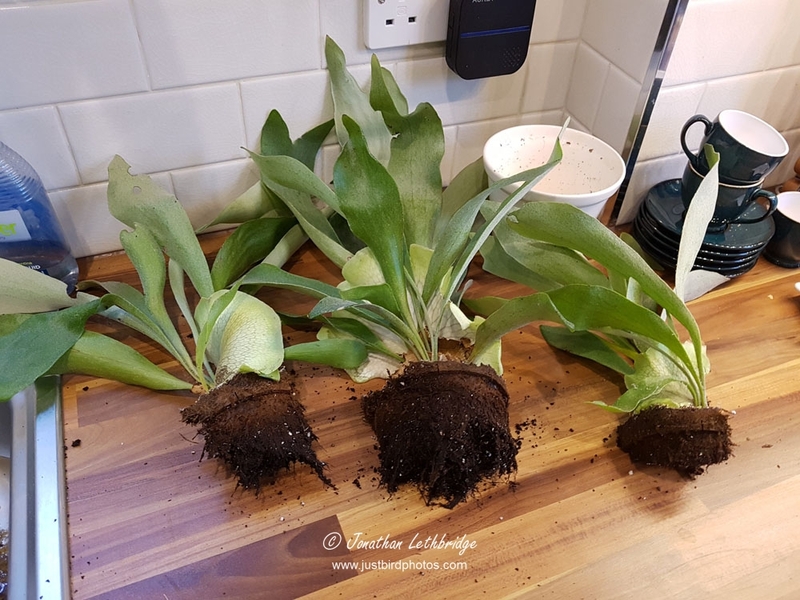 I carefully divided the pot into three parts, each with a few growing points and a shield - the lighter-coloured veined part towards the bottom. 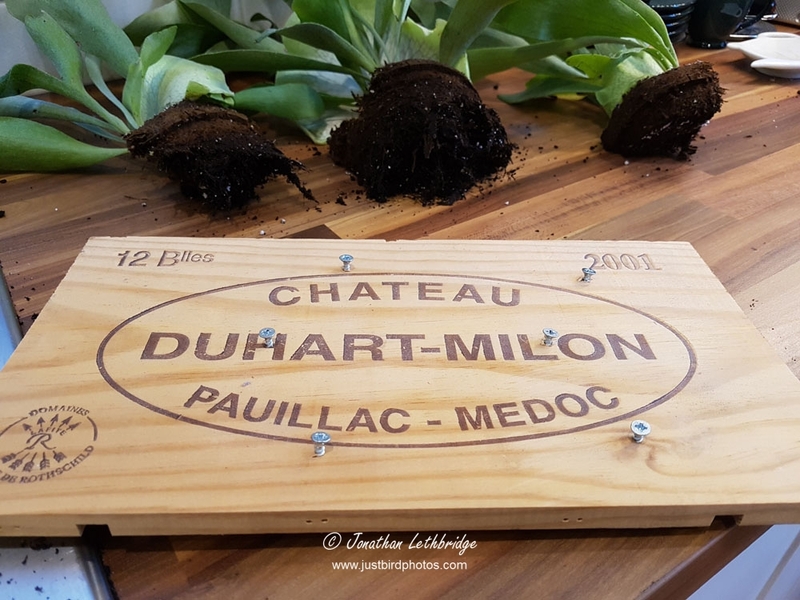 Add a number of screws on the front in a ring around where you expect to place the plant - don't put them in too far as you will want to screw them in a bit more at the end. These will be used to attach the wire that will hold the rootball in place. 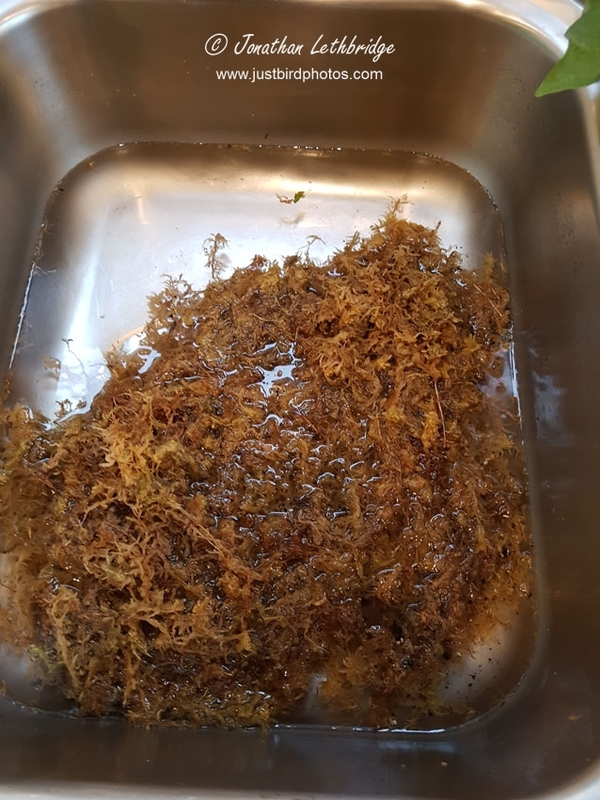 I bought some dried sphagnum moss - 100g made 4.5 litres and cost a fiver. Just add water. First I laid a layer of moss on the board, and then I laid the fern on top. Then I made a nice ball of moss over and around the roots, before tying the whole thing down with a cats-cradle of wire. Screwing the screws in a little further after the wire is attached helps to tighten the wires. Mrs L unwittingly contributed a pair of her nylon shoe-socks that apparently can only be bought in America. I am in the dog house, but the ball of moss is now nice and secure. 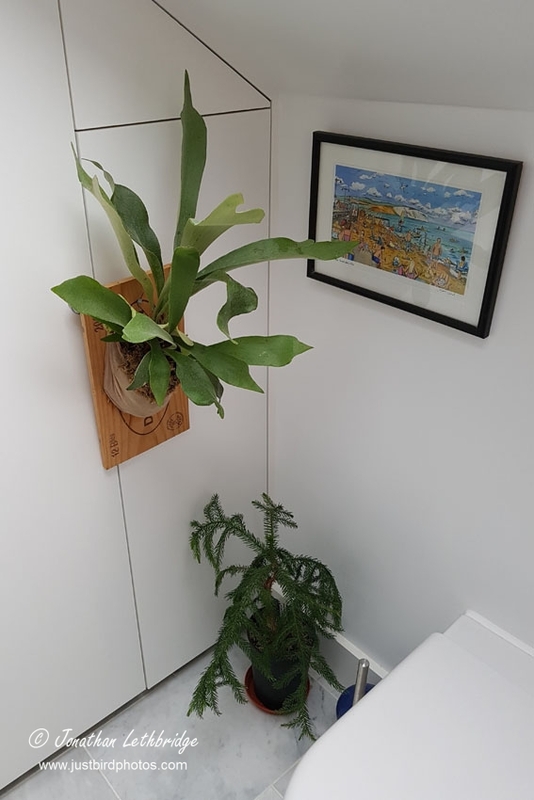 Finally mount the plant on a wall. 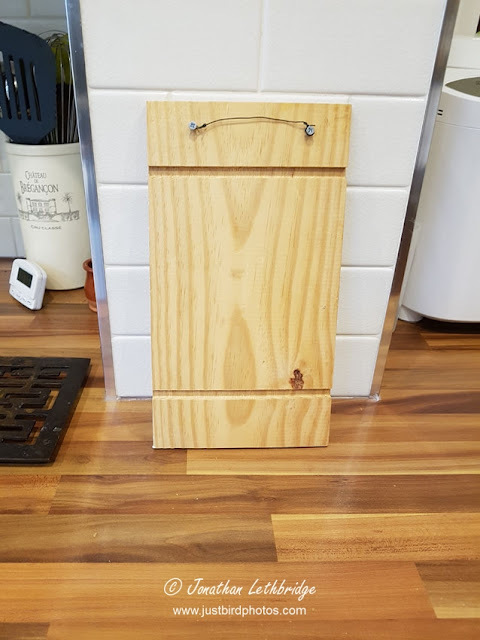 Here it is temporarily hanging on the bathroom cupboard handles whilst I accrue enough brownie points to be allowed to put up a picture hook above the shower. Given the sock incident this may take a very long time, or indeed never happen at all. Be warned, these plants can become very large indeed over time. To water either mist the leaves, or just shower the whole thing for a few seconds, dunk in a sink etc. The wood will eventually rot, at which point either replace it or nail it onto a new piece of wood. 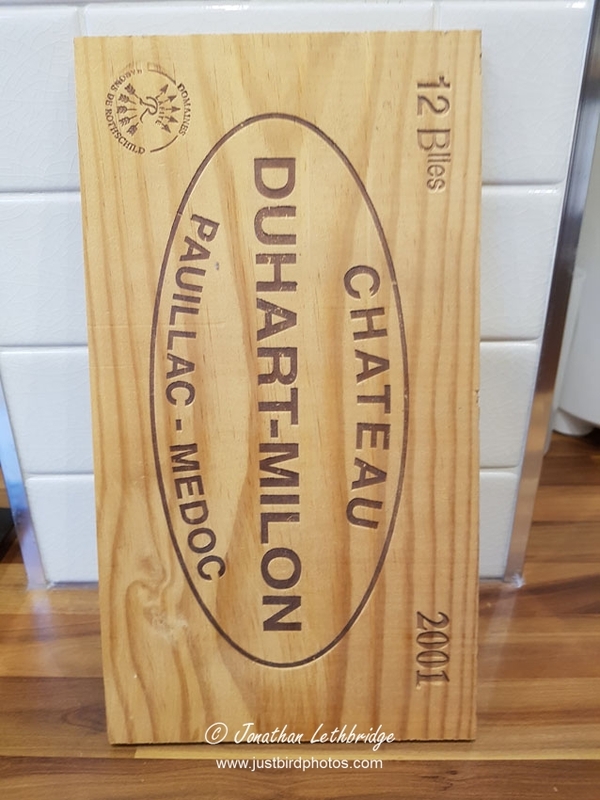 At £60 per bottle, no wonder it came in a strong box. Personally, I make do with the occasional £5 job from the local super market. I've no idea what it costs now, but when I bought it in about 2003 it was £15 - the benefits of planning ahead. I've only just finished it, hence why the case is knocking about. are you going to branch out into carpet laying videos, a la Bagnell?